Although I don’t write CD reviews here as much as I once did, I do still get sent things from time to time. 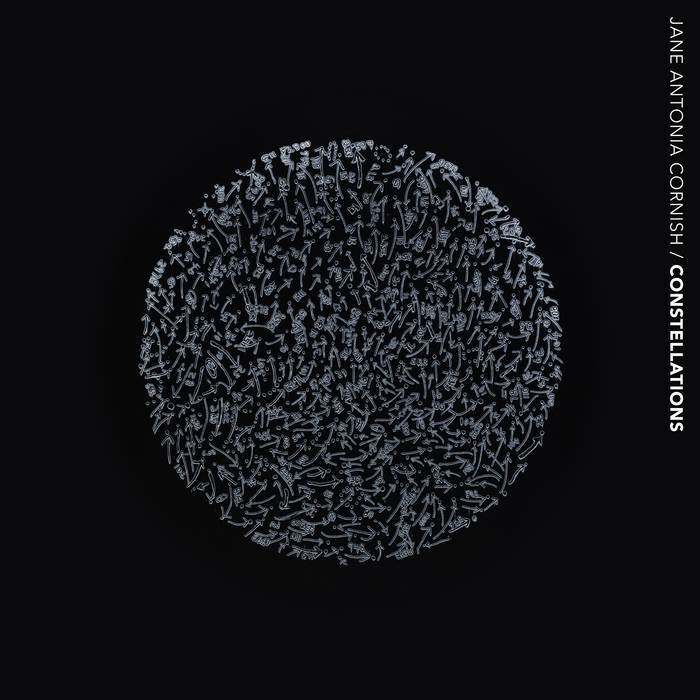 Leafing through the pile this evening I came upon this CD of Constellations, a suite of pieces for piano, strings and electronics by the English-born, New York resident composer Jane Antonia Cornish. Not many discs recently have quite held my attention like this one. Cornish’s music is sparse, with combining plangent string melodies, chiming piano chords and hazy electronic drones. It would appeal to fans of Sigúr Ros, I’m sure, and there’s not a little shared with the Icelandic band’s brand of winter gloaming nostalgi-choly. Yet Cornish’s album is more stripped back than that. Its heart is not on its sleeve; more like in a bag still left at home. This quality of withdrawal I found deeply compelling – courageous, even, when all the pieces were in place for the music to go over the top. The whole album – whose five tracks flow seamlessly into one another – has the combination of hesitancy and confidence that you find in a child learning to walk. As the London sun sets at the end of a working week, it is proving a perfect accompaniment, and an utterly captivating surprise.